Quite a while ago I accidentally lit my oven mitt on fire. 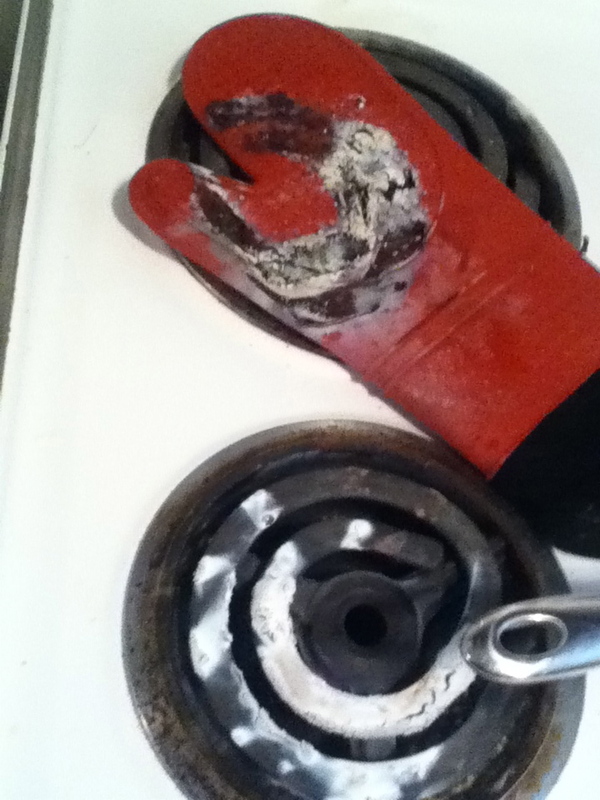 A little advice, don’t leave your oven mitt on a warm burner. It will ignite in flame and you will no longer be able to use it. 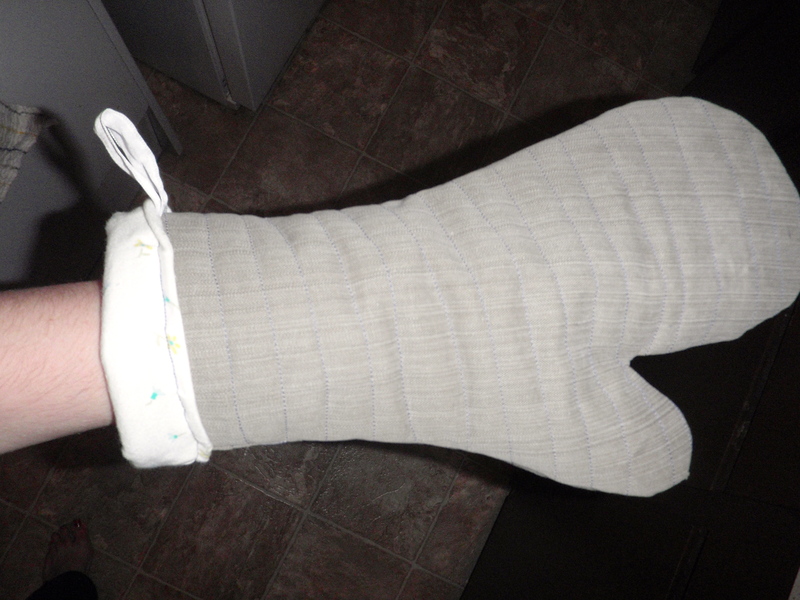 Since my oven mitt was no longer usable I had been looking at tutorials to make a new one. I found this one that was very simple, and I finally got around to making it. I made mine out of materials I already had on hand. 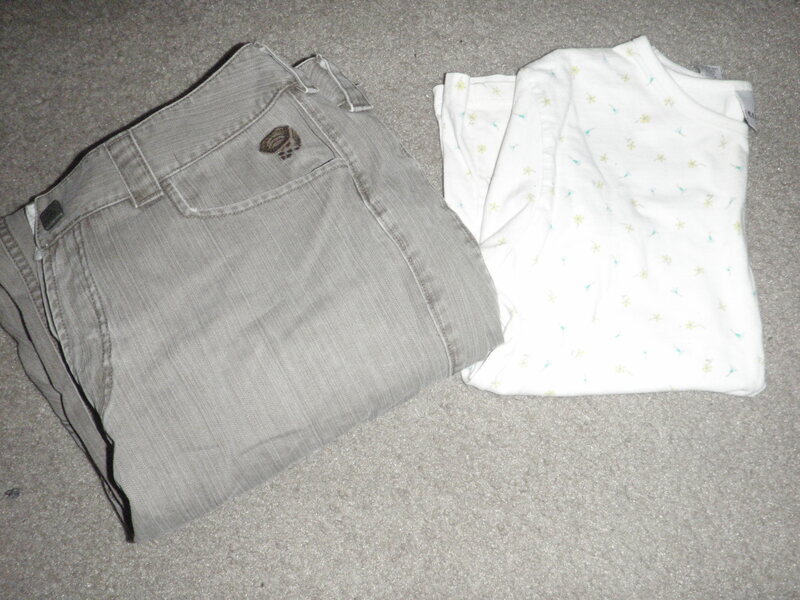 An old worn out pair of Men’s pants and an old t-shirt. 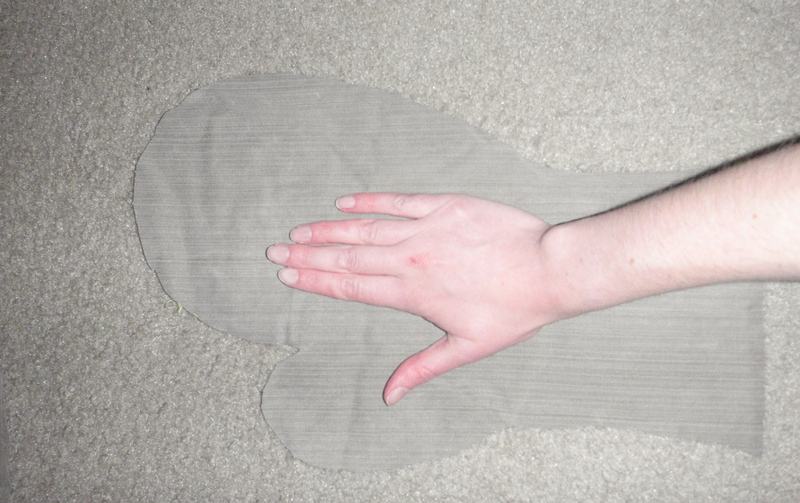 I traced Joe’s hand for my pattern because he has big hands and he helps me cook a lot. My hand looks tiny in comparison to the pattern I traced from Joe’s hand. I followed the instructions on the tutorial and it all went smoothly. 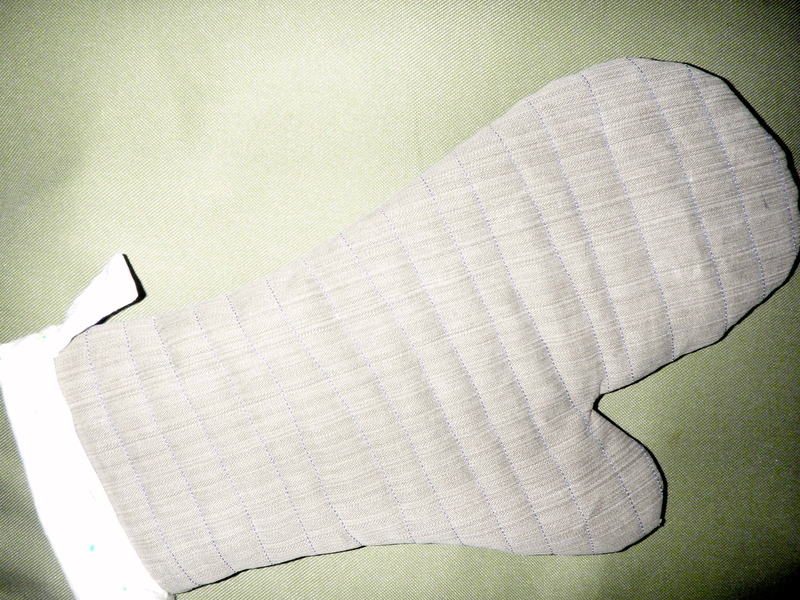 I used blue thread to contrast with the brown fabric I was using for the outside of my mitt. I rather like the end result. And it doesn’t look too enormous on my small hand.